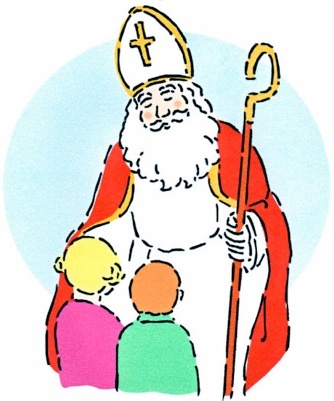 St. Nicholas is the model for our modern day Santa Claus. He was a third century bishop in modern day Turkey. Known for his generosity and secret gift giving, there are many stories and legends surrounding his life. His example of caring for the poor and less fortunate is a lesson we need to emphasize during these busy days before Christmas. 1. Instead of buying gifts this week, help your family find time to make or bake gifts that can be shared on December 6th. 2. Surprise a family member or a neighbor by writing a note and promising to pray for them during this Advent season.